The Director General of Police (DGP), R. Chandranathan, has been directed by the Meghalaya Human Rights Commission (MHRC) to institute an inquiry into alleged high-handedness and human rights violation of two persons by police officers in two separate incidents. The incidents of alleged assault happened in December last year at Tura and Shillong. The MHRC passed two orders after hearing complaints filed by an employee of the state excise department, Mancheng D Marak, who was allegedly assaulted by police officer Babul Roy and five other police officers of West Garo Hills district at Tura on December 7 last year, and Shillong-based musician Manovon Massar. Massar lodged a complaint against superintendent of police (Traffic), Bashan J Laloo for allegedly assaulting him at Shillong on December 19 last year. 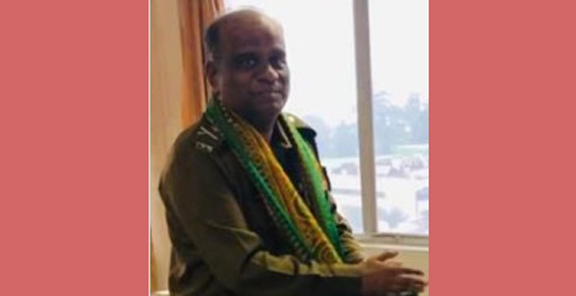 In the two separate orders passed by MHRC member PJP Hanaman, the Meghalaya DGP was asked to cause an inquiry into the allegations levelled by the two complainants by an officer not below the rank of deputy inspector general of police (DIGP) and should submit a detailed report within 30 days from the date of receipt the notice. In his complaint against that Babul Roy and five other police officers of West Garo Hills district, Mancheng D Marak has brought allegations of assault, intimidation by misuse of power, verbal abuse, threat to life, violation of basic human rights to live, unlawful detention and confinement and false fabrication of evidence against Roy and five other police officers. The complainant said he was assaulted by the police personnel when he was sitting alone in an auto-rickshaw inside his housing compound on December 7 at around 11.30 pm. To cover up their excesses, Marak said the police officers falsely accused him of being a bootlegger. After beating him mercilessly, Marak alleged that he was taken to Tura police station and forcefully made him sign a false fabricated seizure list threatening him with dire consequences if he refused to do so. Musician Manovon Massar also alleged that he was assaulted by Bashan J Laloo when his Maruti car overtook some cars on St. Edmund’s School Road on December 19 last year.